A stunning brass framed upholstered chair in soft velvet. 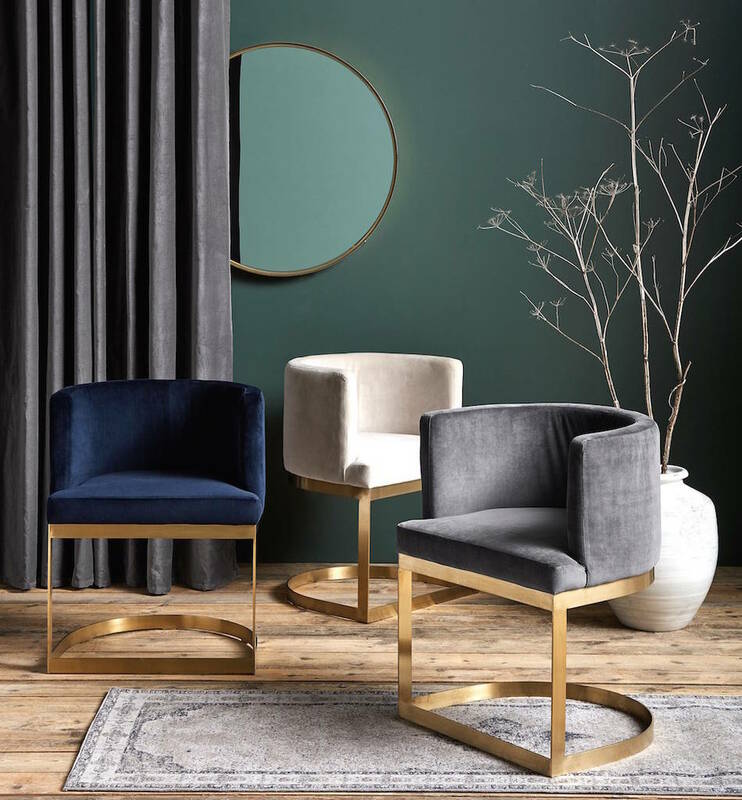 These are truly stunning brass framed occasional chairs. They have a gorgeous Danish simplicity to them, but with a truly opulent twist. The gold frame makes a very stunning piece and a very special purchase to love forever. They come in a choice of subtle colours and would look great as a single chair in a bedroom or office or as a set in a dinig room as a statement collection.